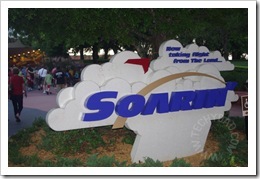 Having gone to Disney World a few times, I’ve come up with quite a few rides that I must go on each trip. I could ride these multiple times in a row and still come back for more. 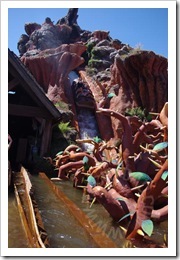 First, in the Magic Kingdom, is Splash Mountain. I’m not a big rollercoaster/big drop sort of guy. (In fact, I’ll discuss later on just how much and why I hate these.) 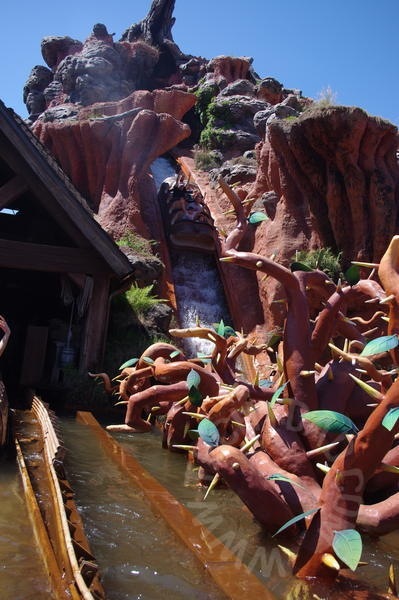 Still, Splash Mountain’s big drop is only part of the ride. The rest involves a story about Br’er Rabbit looking for his "laughing place" and trying to escape from Br’er Fox and Br’er Bear. The animatronics turn the ride from just another log drop ride into a classic Disney attraction for me. 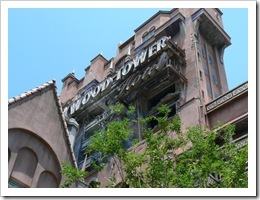 Just in case you are wondering: Yes, the photo on the left was taken on the ride itself. I was feeling a bit crazy and took my DSLR on board the ride (shielding it during splash drops) and took photos of the ride itself. In Epcot, I’ve got one "official" favorite and one "unofficial" one. 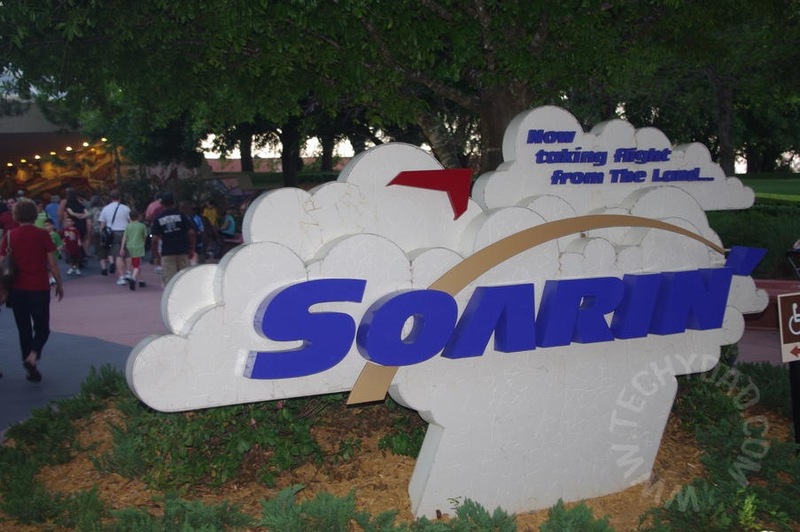 My official favorite is Soarin’. The story behind this is that you are boarding a special aircraft and flying over California. (How you get there from Florida isn’t explained.) You sit in a special seat with your legs dangling and are lifted in the air. Then, on a giant screen that fills your entire field of vision, you "fly" over water, golf courses, orange groves, and more. It is a wild ride (even though you barely move). 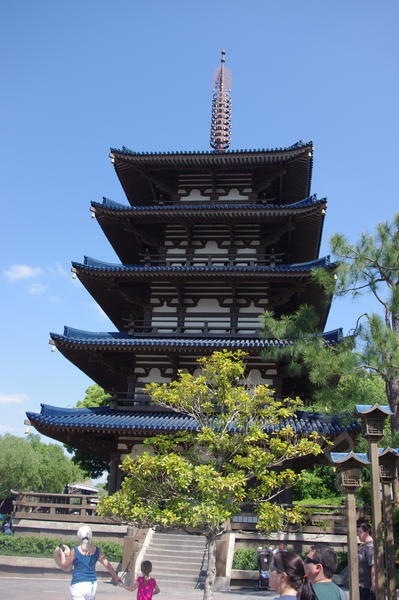 My "unofficial" favorite is Epcot’s World Showcase. 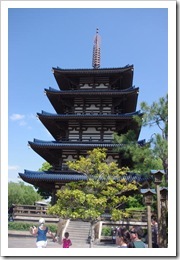 I love just wandering through each country to see the architecture and sample the cuisine. To increase the authenticity, Disney hires people from those countries to work there. So when you meet a cast member there, you are honestly meeting someone from another country. Is it as good as actually traveling to those countries? Of course not. Still, outside of Disney World’s World Showcase, you’ll never be able to travel from Mexico to Norway to China to Germany to Italy to United States to Japan to Morocco to France to United Kingdom to Canada in a matter of hours. 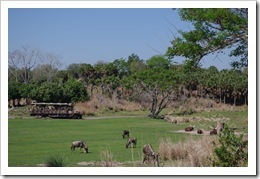 Going to the Animal Kingdom, my main favorite attraction is Kilimanjaro Safari. Disney went above and beyond with this attraction. 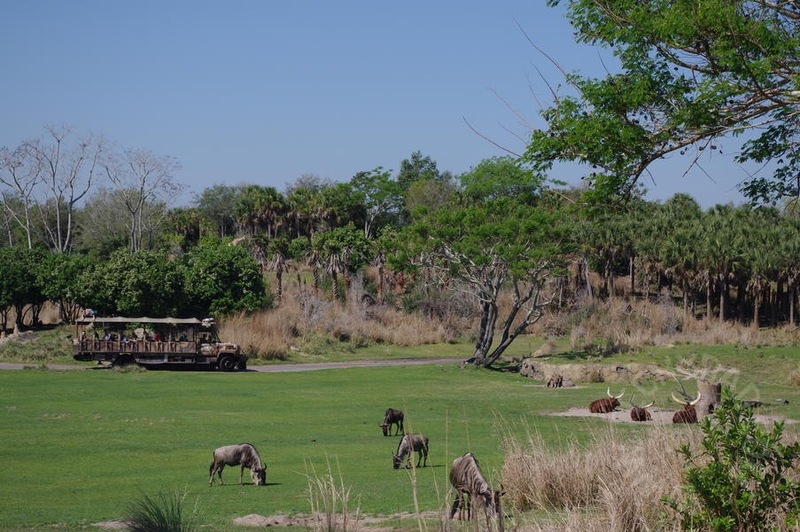 It really seems like you have traveled to the African savannah. Animals wander around seemingly without any fences penning them in. (The fences are there, just very well hidden.) Most times, the animals (despite the looks) can’t approach your vehicle, but in some areas they can. We’ve come within a few feet of giraffes and ostriches at one point. As a bonus, every time you ride this attraction, it is slightly different. Finally, we travel to Hollywood Studios. 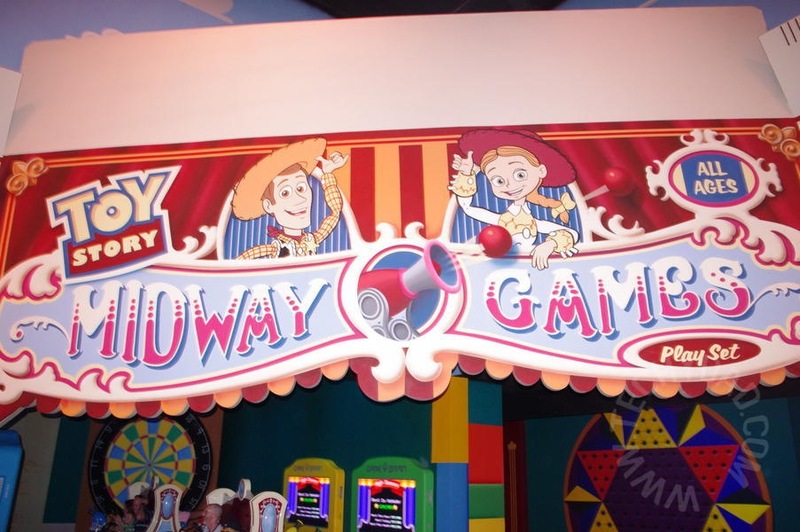 Here, my favorite attraction is Toy Story Mania. 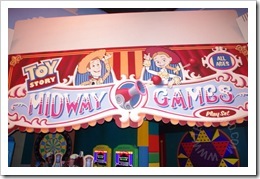 With this ride, you are shrunken down to a toy’s size and join Woody, Buzz, and the whole crew in some games. You get to shoot plates, toss rings around aliens, and pop balloons. You get points for your actions and compete against the player sitting next to you. The attraction is in 3D but some scenes (balloons blowing by) are accompanied by a rush of air. Small touches like this enhance the realism and enjoyment of the ride. Now for my least favorite ride: Twilight Zone Tower of Terror. I’ve only been on this ride once, but that was enough. I wouldn’t have gone on it at all, but NHL, then 5, insisted on going on it with his grandfather and I couldn’t let him be braver than I was. 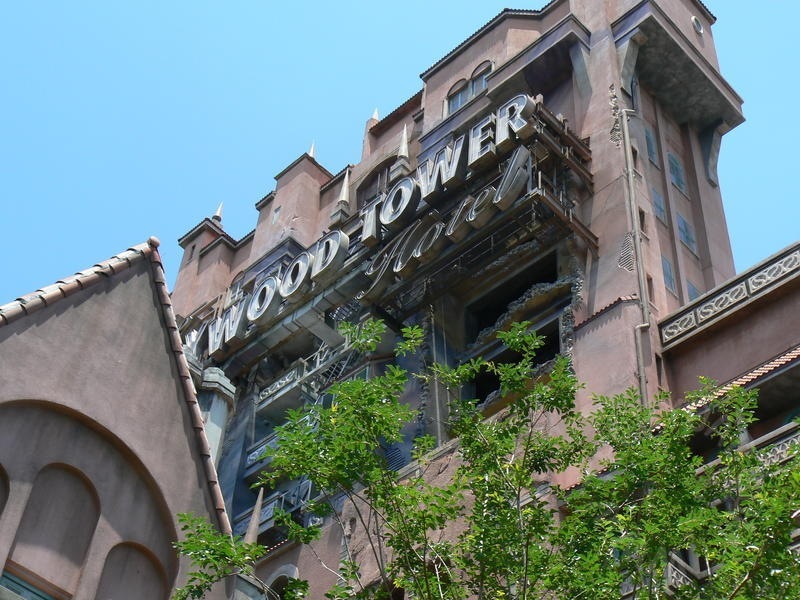 In fact, there’s a very good reason why I wouldn’t like Tower of Terror. I have a fear of falling. Not of heights, mind you, but falling. I’m just fine behind the window of a 20th story building, but a second story balcony can terrify me. Tower of Terror took us up 13 stories and then dropped us down. That would have been scary enough, but then we shot back up and down and up and down and up and down. There were a total of seven up-down movements. Lest you think you’d get used to it, each time you shoot up (after the first ascent), you go up a random number of floors. Maybe you’ll go up three stories next time. Maybe ten. Who knows? So there you have it. My favorite and least favorite Disney rides. What are your favorite/least favorite Disney rides?